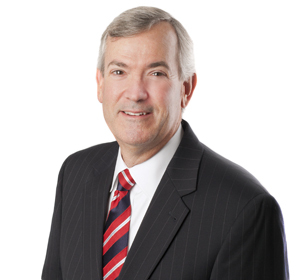 Michael provides strategic counsel on legal, legislative and regulatory issues, including tax, energy, and international trade. Michael has extensive experience developing and implementing successful government relations programs. He has a refined understanding of the political landscape, supported by technical knowledge and a wealth of experience drafting issue papers, advising on legislative and regulatory matters, and building and advocating winning legislative strategies for participants in energy and related markets. Prior to joining the firm, Michael was a lobbyist and the Tax Director for the American Petroleum Institute from 1992-2009 and the Tax and International Trade Counsel for U.S. Senator John H. Chafee from 1988 to 1992. Represents the Gas Processors Association (GPA), a trade association that represents 130 members involved in the gathering, processing, transporting, and marketing of natural gas, in Washington, DC, to elevate GPA’s profile among policymakers in the Congressional and Executive Branches as a credible resource and critical component of the natural gas value chain and provides strategic counselling and federal advocacy services on GPA’s legislative priorities. Represents the National Association of Energy Service Companies to advocate for an extension of the tax deduction for energy efficiency improvements to commercial buildings in Section 179D of the Internal Revenue Code and its inclusion in a reformed tax code. Represents McKesson Corporation, the world's largest healthcare services company, on preserving the LIFO inventory accounting method in tax reform. Represents a solar energy company on federal tax legislative issues. Represented a major wetlands mitigation banker in an ongoing effort with respect to federal taxation issues. Represented and advocated for the interests of Phillips 66 Company, its subsidiaries, and its affiliates by assisting Phillips 66 to develop legislative and regulatory strategies with respect to company priority issues, assisting in meetings with congressional leadership, key committees, and administration officials; representing Phillips 66 before legislators, Congressional committees, administration officials and personnel, and Executive Branch officials and personnel; and assisting in review of legislative proposals. Represented the National Association of Energy Service Companies with respect to the “municipal advisor” rule of the Securities and Exchange Commission (SEC) under the Dodd-Frank Act for a successful revision to the engineering exemption to the municipal advisor rule for energy service companies.